In March 1989, president of France François Mitterrand opened the main entrance to the Louvre. The landmark glass pyramid was designed and created by Chinese-American architect Ieoh Ming Pei. The architect’s idea sparked hot debate, revitalised the Louvre and triggered changes in museum architecture worldwide, the Art Newspaper writes. “Pei’s design was Mitterrand’s choice. He refused any international competition and ignored the outcry from the architects in charge of the royal palace,” said Jean-René Gaborit, who headed the Louvre’s sculpture department in 1980-2004. “All resistance and objections were overcome,” said Françoise Mardrus, the head of the research centre on the Louvre’s history. The project faced serious resistance: writer Jean Dutourd published an “appeal for insurrection”, Le Figaro named the pyramid a “gadget”, L’Amateur d’art magazine wondered: “Why Mitterrand had to choose a Japanese-American architect [sic], when a French one would never have cut the perspective towards the west of Paris”. 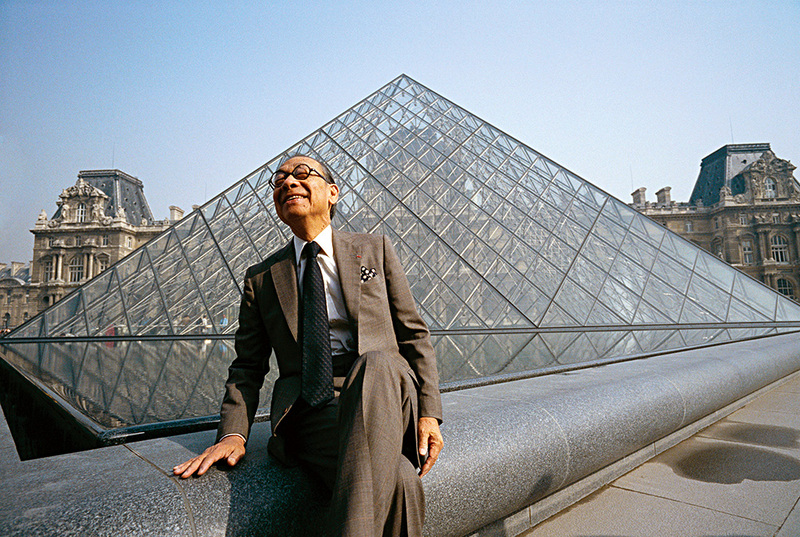 Architect Ieoh Ming Pei said he had never faced such fierce attacks. But he understood the cool reception and completed his project. Pei focused on light, so his main task was to find glass that would interact with the sky and the environment, not distorting the museum’s courtyard. The result was a 22-metre-high pyramid. It stands on a 35-metre-sided square and supported by a 200-tonne steel and aluminium structure. The pyramid is surrounded by triangular water basins and three smaller pyramids. “We were thrilled by the new spaces and the circulation towards the galleries and we immediately understood that the game was won,” Mardrus recalls the official opening of the new entrance. The successful implementation of the project gave birth to the now popular concept that the first piece of art in any museum is its architecture. The Louvre’s current director Jean-Luc Martinez still believes Pei’s project led to the museum’s growth and success. More than 10 million people went through its glass doors last year (compared to 3,5 million in 1989). “The pyramid is a strong symbol that places the visitor at the heart of the museum,” Martinez says. The renovation added 230,000 square metres to the museum and doubled its exhibition space up to 50,000 square metres. The project was partially funded by France’s Ministry of Finance to make the Louvre “the biggest museum in the world”. The total cost of the project grew to 7 billion francs, which is about €1,5 billion today. “The president decided culture should come first, not finance,” the Art Newspaper quotes Martinez as saying.